Thinking about adopting a poodle? You need to know about these standard poodle eye problems! The more you know, the better prepared you are to help your dog deal with them. It’s essential that you know about these conditions to help your new poodle avoid them in the future. So, continue down the page and ensure you’re ready to protect your poodle against these awful conditions. But before we go into specific standard poodle eye conditions, we should discuss why poodles have a proclivity for them in the first place. 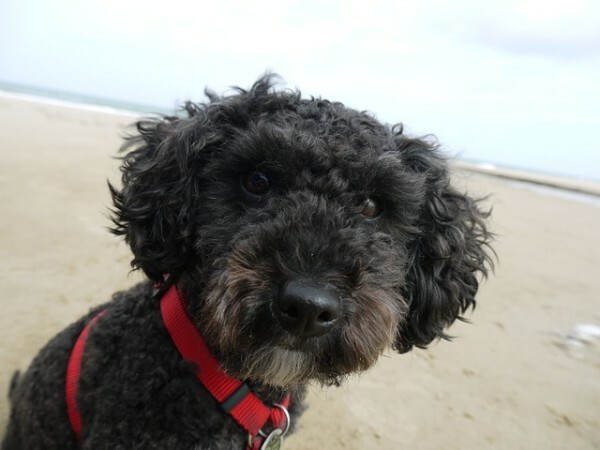 Why are Poodles Prone to Eye Conditions? Well, the poodle’s knack for developing these eyes conditions comes from the breed’s heredity. See, like other purebred dogs, poodles have issues that have been passed down along the bloodline. This means eye problems could be wired into their DNA. In other words, these eye issues are just a part of being a poodle at this point. It also doesn’t help that their physical stature isn’t quite suited for keeping their eyes out of danger. For instance, long curly fur around your poodles eyes often gather debris throughout the day, and that debris can lead to irritation, according Here Pup. And it doesn’t stop there either. Poodles are also notorious for being more prone to blocked tear ducts than other breeds, which can also lead to some eye conditions as well. Overall, it seems everything about a poodle is working in opposition to keeping their eyes healthy and out of danger. And you might think it’s isn’t a big deal, but this issue is something you’ll need to be aware of as a poodle owner. For instance, most of the poodle owners I know, have had to deal with some eye issue; whether it was something as minor as tear staining or something significant like cataracts. Regardless of the condition, this issue isn’t something you should take lightly. Each of the standard poodle eye problems mentioned in this section has been proven to be a nuisance in the poodle community. Again, I implore you to take this seriously. These conditions aren’t something you can disregard. Honestly, if you plan on getting or already have a poodle, these conditions should always be on your mind. Now, tear staining is a very mild eye condition. However, it will have a significant impact on their appearance. Once the excessive tearing starts, your poodle’s fur gets exposed to a pigment inside the tears called porphyrin . And if this pigment is exposed to your poodle’s coat in massive qualities, it’s known to cause streaking. 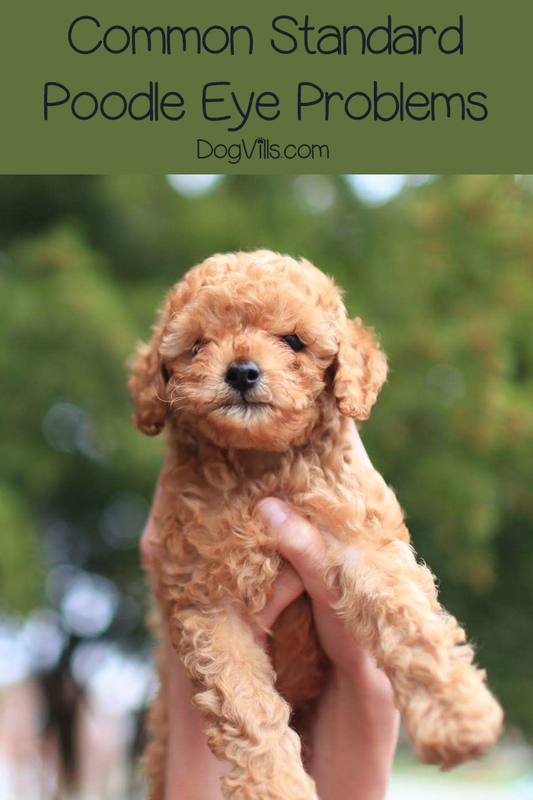 Trust me, while this infection may seem mild to what we’ll discuss later; it will cause your poodle a lot of discomfort and be a constant source of annoyance for them. In my personal experience dealing with tear staining, you’d be surprised how hard the streaks are to get out. Once they get embedded in the fur, it takes a lot of effort and time to remove them from your poodle’s coat. With this in mind, you’re probably wondering how you can prevent this condition from entering your life? Well, all you have to do is follow the five steps laid out in this article , and you should have no issues keeping these stains from ruining your poodle’s fur. Sounds dreadful right? Well, it truly is, and it’s hard to watch your dog suffer through. To make matters worse, this particular disease has no cure and can start showing up when your dog is only about two! And since there’s no cure, there isn’t much you can do as an owner for a dog suffering from this disease. But you must know the symptoms regardless, so, you can recognize if it’s this disease that’s affecting your poodle. If your poodle does end up with PRA, it’s not the end of the world. Due to it being a slow acting disease, your poodle will gradually get more and more comfortable with it. And there many poodles out there that have full, happy lives despite being afflicted with this horrible disease. In fact, I know some poodles that are thriving despite being blind. Related: Is the Poodle a Good Hypoallergenic Dog? There are many known causes of canine cataracts ranging from something as mundane as old age to something drastic like an electric shock. With this wide variety of causes, you’d think the symptoms would be just as varied; however, they seem to be the same regardless of the cause. See, it all has to do with the cloudiness in the lens of the eye. In other words, the cloudier the eye, the worse the condition is and vice versa. As far as treatment, it’s imperative that you get your poodle to the vet as soon as possible. After all, it’s a progressive disorder and will get worse day after day. Once you get them to the vet, the most effective treatment option is surgery. Just like with humans it involves replacing the lens with an artificial one. But it’s an expensive procedure, so, do intend for your bank account to take a hit with this surgery. In the end, I’d argue canine cataracts aren’t that much different from the ones humans suffer. And given the nuisance this condition causes a lot of our lives, I think you’d agree this something you need to take seriously. 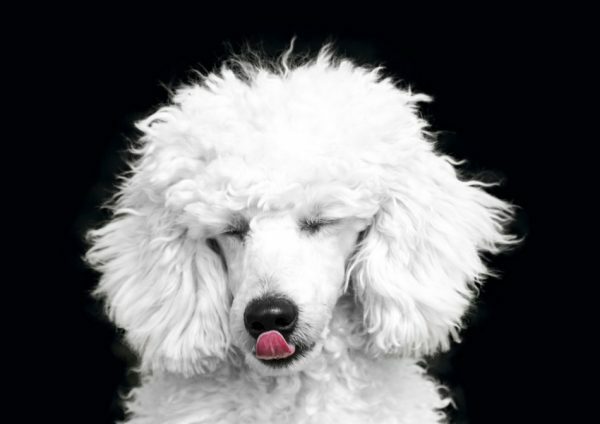 After reading this article, I think you’re fully ready to become a poodle owner. And if you already a poodle, now you’re more inclined to deal with the potential issues down the road. Have you dealt with any of these standard poodle eye problems in the past? Share your experiences below!